Zika vaccine claim: Hope or hype? An Indian biotech company’s “breakthrough” claim that it has developed two “candidate vaccines” against the Zika virus – while being hailed as a ‘made in India’ product – has alarmed some virologists. Krishna Ella, managing director of Hyderabad-based Bharat Biotech, announced last week that his company is probably the first in the world to file a “global patent” for its vaccines against the virus that is suspected to cause birth defects and neurological problems and is terrorizing Brazil and other countries in South America. The company said it started work on the vaccines a year ago using “live” Zika virus. But, despite repeated requests from IANS, neither Ella nor the company’s spokesperson revealed from where or when the company got this virus. “It is a serious question,” said Kalyan Banerjee, a renowned virologist and former director of the National Institute of Virology in Pune, a premier laboratory under the Indian Council of Medical Research (ICMR). “It is amazing how the said laboratory obtained the live virus, particularly when there is no record of isolation of Zika virus from the Indian subcontinent,” Banerjee said. 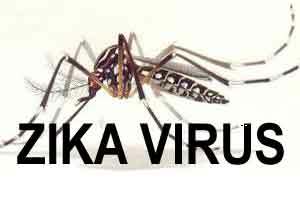 The Zika virus is spread by the Aedes Aegypti species of mosquitoes that are abundant in India. “Regarding the company getting the virus and making a vaccine, it needs to be carefully investigated,” Banerjee said, pointing out that “loopholes in the import of pathogenic agents may lead to national disaster”. He said strict vigilance was one main reason why the yellow fever virus – which is also spread by Aedes mosquitoes and causes a fatal disease – never came to India. Durga Rao, another leading virologist at the Indian Institute of Science here, agrees. One can import a virus from any source with approval from ICMR or the department of biotechnology, “but unauthorized introduction of a virus which is not reported yet in India by anyone could be a serious regulatory problem as it can get into the environment easily under our unsupervised facilities”, Rao said in an email. But inquiries reveal that the vaccine maker failed to follow the standard procedure for importing the live Zika virus whose potential threat to newborns forced the World Health Organization on February 1 to declare a global emergency. “We did not import the virus and Bharat (Biotech) got it themselves,” ICMR director general Soumya Swaminathan told IANS in an email to a query if the company sought its permission to import. “There are safety concerns with Zika virus vaccine — so all steps in regulatory approval need to be followed,” she said. Asked if the DBT gave the permission, its secretary K. Vijayraghavan – instead of an emphatic yes or no – said that the question “is best addressed to the industry concerned”. In an email, he said the DBT is committed to work with ICMR and the health Ministry to ensure preparedness. Apart from its reluctance to reveal the source of the virus used to develop the vaccines, the company has declined to give details about the global patent it claims to have filed in July 2015. A search of the Indian Patent Office website for Bharat Biotech’s patent applications, or the company’s own website, does not show any specific filing for the Zika virus. One patent expert told IANS that “it is possible that the patent office hasn’t yet published this patent application”. Some scientists are impressed – and at the same time intrigued – by the Indian company’s foresight in trying to develop a vaccine for a disease that was not yet there.